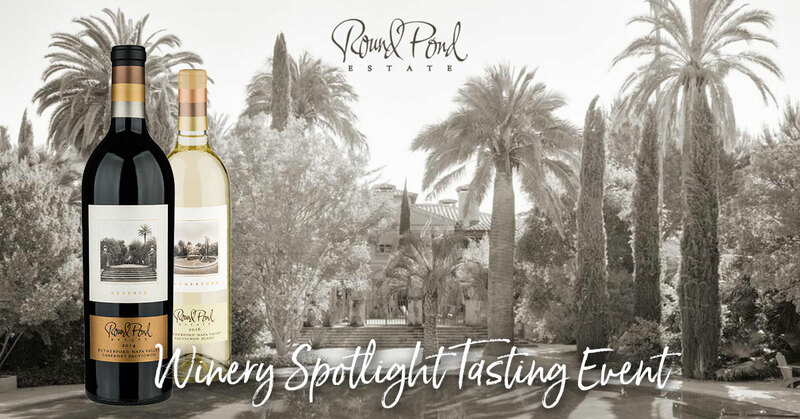 Join us for a Winery Spotlight tasting event, featuring Charles Krug Winery of Napa Valley, California. Founded in 1861 by Charles Krug, it is the oldest winery in Napa Valley. In 1943, the winery was purchased by Cesare and Rosa Mondavi and ran by their sons Peter and Robert. 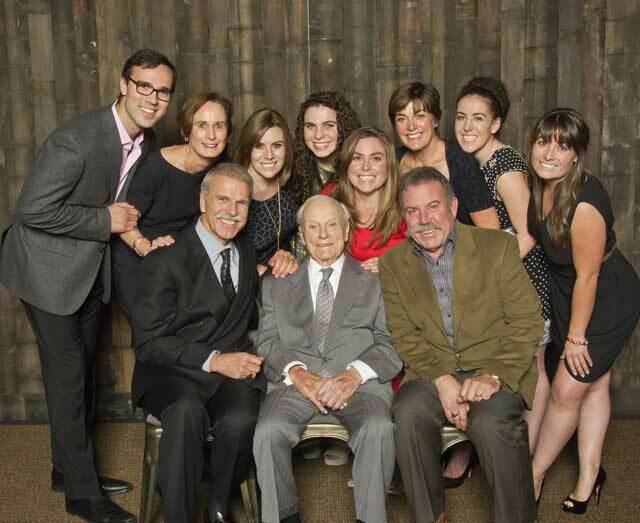 Four generations later, the Mondavi family continues their legacy that started more than 70 years ago. Please join us as we Taste, Learn and Enjoy® these historic and delicious wines from Charles Krug winery. 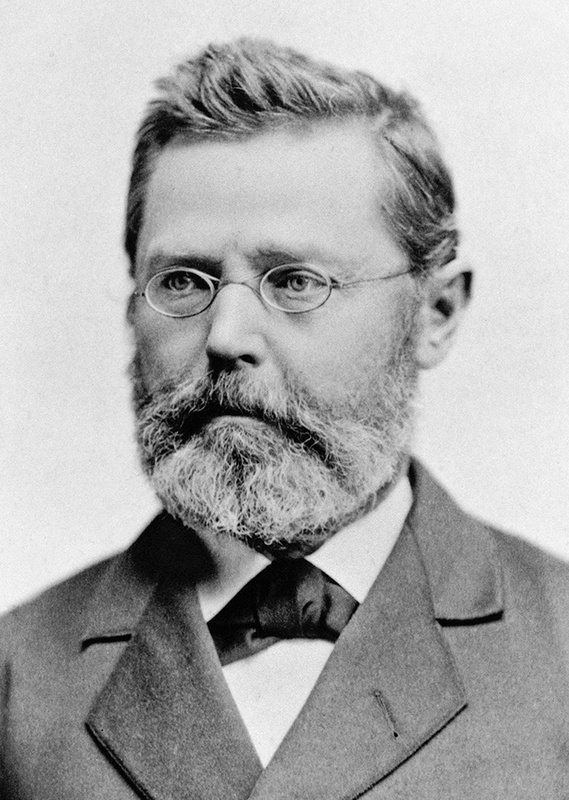 The winery was founded in 1861 by a then 36-year-old Charles Krug. Just nine years after coming to America, he built what would become the cornerstone of Napa Valley. Charles Krug introduced the cider press for winemaking, the first of which is still on display at the winery. He carefully selected rootstocks, varietals, vine spacing and vineyard sites — a novel concept in late 19th century America. In 1943, Cesare and Rosa Mondavi purchased the Charles Krug Winery for their sons Peter and Robert to run. They undertook an extensive program to develop quality vineyards, enhance winemaking techniques and increase marketing efforts. In 1963, Peter Mondavi, Sr. introduced French oak barrels to age wines, citing their superior quality to the American oak popular at that time. He also introduced the use of glass-lined tanks to gain more control over the winemaking process. 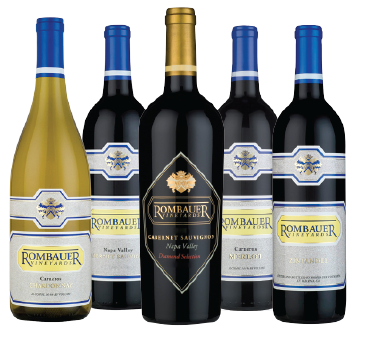 The winery was among the first California producers to label wines by varietal. In February 2016, Peter Mondavi Sr. passed away at the age of 101. 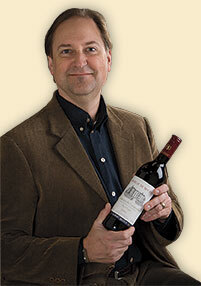 His sons Marc and Peter Jr. continue his legacy by leading the way at Charles Krug Winery. Today, Charles Krug Winery is under the direction of brothers Marc and Peter Mondavi, Jr., who steward the family business passed to them by their father, legendary Napa Valley wine icon Peter Mondavi, Sr. 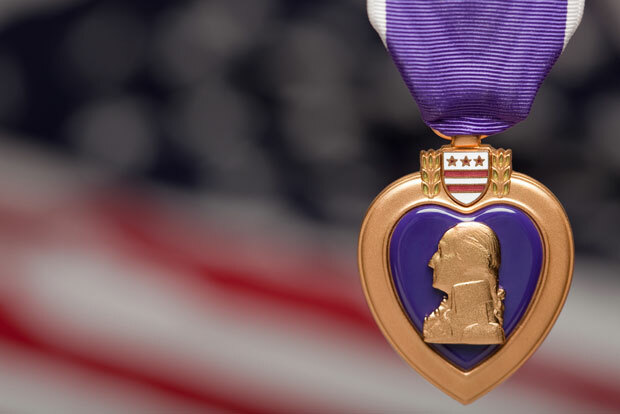 The family is now proudly welcoming members of the fourth generation to the business, continuing a legacy started more than 70 years ago, and setting a foundation for generations to come. 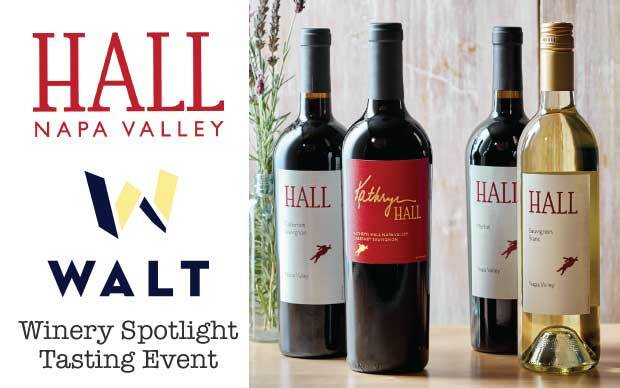 HALL Wines represents critically acclaimed artisan Napa Valley Cabernet Sauvignon from two Napa Valley winery locations in both St. Helena and Rutherford. Owned by Craig & Kathryn Hall, its vineyard collection features five Certified Organic estates producing classic Bordeaux varietals. HALL’s highly rated wines include the Napa Valley Cabernet Sauvignon, selected as Wine Spectator’s #18 of the ‘Top 100’ in 2010. Collectively, over 140 HALL Wines have been rated 90 points and above. Kathryn Walt Hall is the proprietor of HALL Wines and WALT Wines, and has been involved in the California wine industry since her family first purchased a vineyard in the 1970’s. She has had a distinguished career as a successful businesswoman, attorney, community activist, and as the United States Ambassador to Austria. 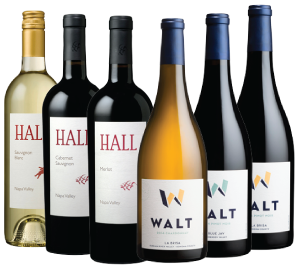 HALL Wines are passionate about environmental responsibility and sustainable stewardship of their land. Their vineyards have been certified organic by the California Certified Organic Farmers (CCOF). Farming organically involves committing to two principles: ecological production and maintaining organic integrity. Hall values the land and also value its creation, which is why they continue the tradition of hand picking all of the grapes throughout their estate vineyards. Once the grapes are brought to the winemaking facility, the grapes are processed with innovative techniques to ensure the highest standard and quality of wine. “Since launching HALL Wines, we have been dedicated to the preservation of the environment and bringing innovation to Napa Valley. HALL Wines is always looking for new ways to provide support and dedication to the sustainable-living movement. We continue to reinforce our commitment to the health of the land, as well as that of the greater Napa Valley ecosystem”, notes Ambassador Kathryn Hall, HALL Wines owner and vintner. WALT Wines, owned by Vintners Kathryn Walt Hall and Craig Hall, is dedicated to the production of premier Pinot Noir and Chardonnay from the Pacific Coast’s most distinctive vineyard sites, spanning nearly 1000 miles and including Sta. Rita Hills, Sonoma County, Anderson Valley, Napa Valley and the Willamette Valley. With their philosophy of precision, non-interventionist winemaking, it allows the wines to naturally and honestly express the character of the site where the wines are grown. 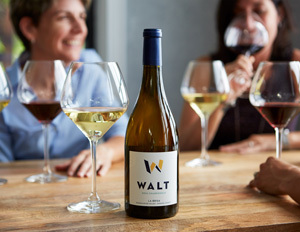 The team at Walt Wines believes in hand sorting every berry; pressing Chardonnay as whole clusters; allowing native yeast fermentation; encouraging a long malolactic fermentation with weekly batonnage and topping off; barrel aging on lees to create more texture, richness, and complexity; and never fining or filtering. Holding true to these methods means there is no room for error or shortcuts, but the reward is a complex, expressive, complete wine. 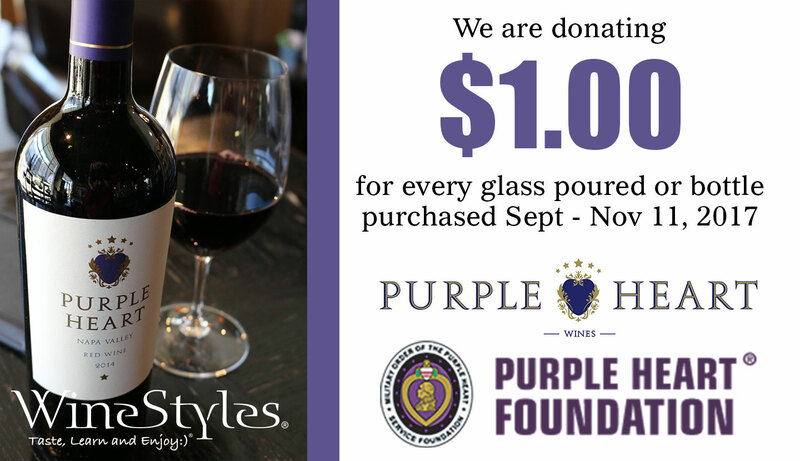 Limited Seating Available – Reserve your seat at your local WineStyles Tasting Station. Preheat oven to 450 degrees. In a skillet, melt 4 tablespoons of the butter. Add the scallions and cook over low heat until softened, about 3 minutes. Add the asparagus spears and the water and cook until tender and the water reduces to ¼ cup, about 5 minutes. Add the spinach and cook just until wilted, about 2 minutes. Puree the mixture in a blender until smooth; season with salt and pepper. Transfer the sauce to a small saucepan and keep warm. Arrange the prosciutto slices in pairs, overlapping them slightly. Place a halibut fillet in the center of the prosciutto and top each fillet with 2 sage leaves. Season with salt and pepper and wrap the prosciutto around the fish. In a large ovenproof skillet, melt the remaining 1 tablespoon of butter in olive oil. Add the halibut and cook over high heat until browned on the bottom, about 3 minutes. Carefully flip the fish and add the asparagus tips to the skillet. Transfer to the oven and roast the prosciutto wrapped halibut for 5 minutes. Spoon the asparagus spinach puree onto plates, arrange the prosciutto wrapped halibut and asparagus tips alongside and serve immediately. Recipe courtesy of Food & Wine Magazine. Tierra y Mar wines are produced from vineyards situated in select parts of Napa and Sonoma. This Sauvignon Blanc is sourced from Big Ranch Road, in the Oakville District of Napa Valley. Oakville is known for its success with Bordeaux varietals, which includes Sauvignon Blanc. Warmer temperatures and gravelly, sandy soils help produce excellent Sauvignon Blanc. Delicate straw and alluring aromatics shine in this racy stunner. Notes of dandelion, honeysuckle and bright pineapple open on the nose with a mouth-feel of fresh fruits like green apple and pear. This wine offers great acidity and a long fruit finish with a touch of a fresh herbs and clover rounding out the palette. 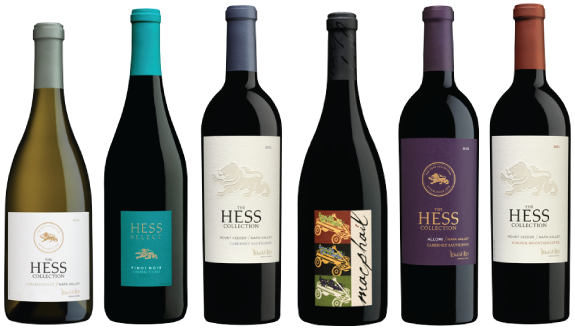 Please join us for a special Winery Spotlight event, featuring The Hess Collection winery from Napa Valley, California. Started in 1844, Hess Family Wine Estates is a family-owned, fourth-generation company with a deep commitment to responsible agricultural and business practices. 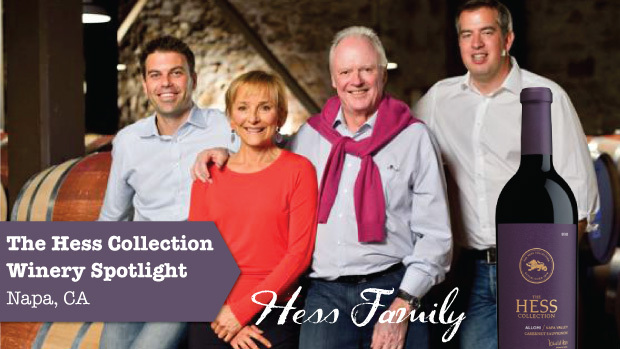 Founded in Bern, Switzerland, Hess Family Wine Estates seeks, develops and mentors businesses worldwide that reflect the company’s values of tradition, quality and sustainability. In 1978, Donald Hess founded the Hess Collection Winery on Mount Veeder, 2,000 feet above the Napa Valley. True to his vision of what a New World wine should be, Mr. Hess established his winery on the volcanic slopes of Mount Veeder in the Napa Valley and defined a whole new approach to winemaking. Along with its mountain vineyards, the winery has won acclaim for its other estate vineyards in the northeast and southern ends of the Napa Valley and has been recognized for its successful relationships with family-owned growers who represent some of the finest appellations in California. The Hess Collection Winery produces three tiers of wines and has distinguished itself as a premium producer of Cabernet Sauvignon and Chardonnay. Miljenko “Mike” Grgich first gained international recognition at the celebrated “Paris Tasting” of 1976. Then, in a now-historic blind tasting, a panel of eminent French judges swirled, sniffed, and sipped an array of the fabled white Burgundies of France and a small sampling of upstart Chardonnays from the Napa Valley. When their scores were tallied, the French judges were shocked: they had chosen the 1973 Chateau Montelena Chardonnay, crafted by Mike Grgich, as the finest white wine in the world. Mon Dieu! The results stunned the international wine establishment and immediately earned Mike a reputation as one of the greatest winemakers in the world. 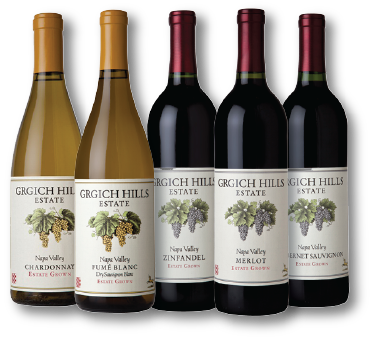 The Paris Tasting served notice to the world that the California wine industry was on the move, and it laid the groundwork for the creation of Grgich Hills Cellar. After his victory in Paris, Mike sat down with Austin Hills and his sister, Mary Lee Strebl, from the Hills Bros. Coffee family, and on Independence Day 1977, they gave birth to Grgich Hills. With his fierce commitment to making wines of the highest quality, Mike began producing what immediately became signature wines: the exquisite, richly complex Chardonnays that win awards and delight wine lovers across America and throughout the world. 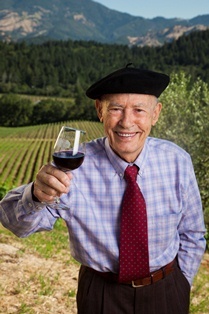 Now 91 years old and still sporting his signature blue beret, Mike was inducted into the Vintners Hall of Fame in 2008 in honor of his many contributions to the wine industry. While many other Napa wineries pursue strategies of expansion, Mike, along with his daughter, Violet, and his nephew, Ivo Jeramaz, prefer to stay small. Their aim, year after year, is to improve the quality of their vineyards and their wines, relying on Mike’s unique artistic and intuitive touch. This strategy continues to pay significant dividends. 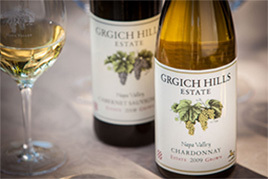 Grgich Hills remains committed to making distinctive wines with quality, consistency and longevity. World leaders such as Presidents Reagan and Clinton, Queen Elizabeth II and French President François Mitterrand chose Grgrich wines to serve at state dinners. More importantly, Grgich is equally proud that every single day discriminating wine drinkers count on Grgich Hills to turn their own dinners into special occasions.